iPhone 5, 5S, 6, 6 plus not charging? How to fix it? So, your iPhone is no longer charging. Someone replaced the charging port and the battery and it's still not charging. Until this problem, you've kept the phone in a case and it's never been dropped, submerged in liquid, or otherwise broken. What gives? 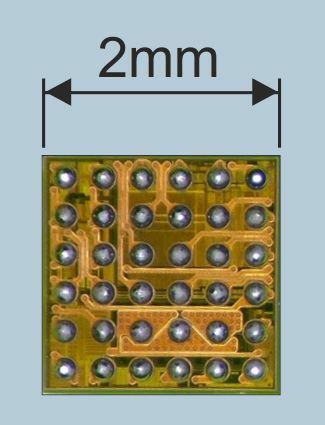 While there are several reasons an iPhone 5, 5S, 6, 6 plus (or any device) can stop charging, we'll focus on one reason in particular, the so-called U2 IC chip. What is this iPhone U2 IC chip? In the photo, you can see just how tiny this microchip is. It's 2mm wide. On the bottom of the chip are 36 solder connections. This microchip is part of the circuit controlling USB functions - including charging. This microchip is delicate and prone to damage by voltage spikes and noisy electrical signals. As I mentioned at the beginning, the U2 IC chip is prone to damage by voltage spikes and noisy electrical signals. Either or both of these can come from cheap charging cables, wall plugs, and/or car chargers and portable batteries. 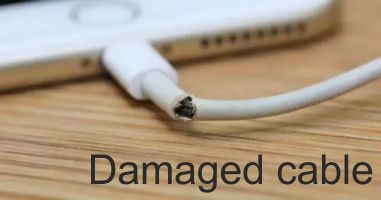 You can almost guarantee that any charging cables, wall plugs, and car chargers found in petrol stations and gift shops are cheap knock-offs of Apple's products or the products of after-market manufacturers licensed by Apple. Unfortunately the average Apple user isn’t aware of it, the official lightning cable isn’t just an overpriced USB cable. 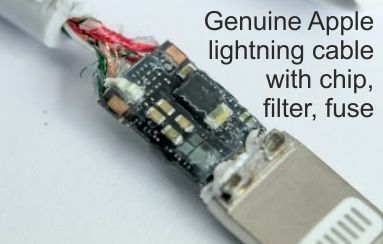 The connector includes several chips, including one that filters the current from the charger to remove and block various electrical fluctuations that can damage the device, and another chip that sets up the charging process in a safe manner via a password-protected “handshake”. You can buy Genuine Apple cable here or just pop in. 50% discount!! 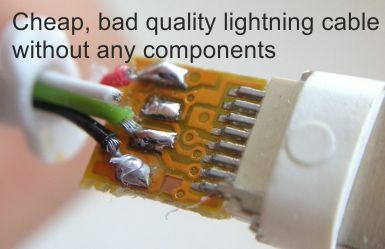 Low-cost, non-certified cables (along with blatant fakes and those with a bogus MFi certificate) don’t contain those proprietary ICs and may well flood the device with current it isn’t prepared for, or fail to protect it from spikes and fluctuations from the charger itself. Now, to be sure, these cables will usually appear to work at first. However, as soon as there’s a voltage or current fluctuation, there’s a good chance the device will end up with serious motherboard damage or- at worst- completely dead. 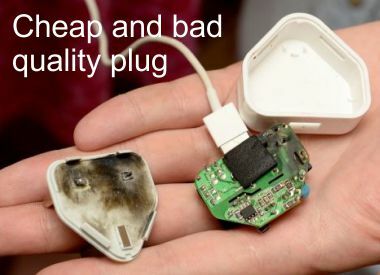 You can buy Genuine Apple charging plug here or just pop in. 50% discount!! What are the symptoms of a failing or burned out U2 IC/Tristar chip? This list may not be complete, but these are common signs that may mean a faulty U2 chip if the battery and dock are ruled out and there's no signs of water damage, drop damage, bent frame, etc. If your iPhone X, 5, 5S, 6, 6 plus won't turn on or charge, the best solution for the iPhone charging problem is the iPhone U2 IC chip replacement, that means an iPhone motherboard repair. You can find our mother board repair prices here.